The Great-billed Heron (Ardea sumatrana) is a large heron (up to 1.15 metres in height) that inhabit coastal areas in South-east Asia, Papua New Guinea to Australia. 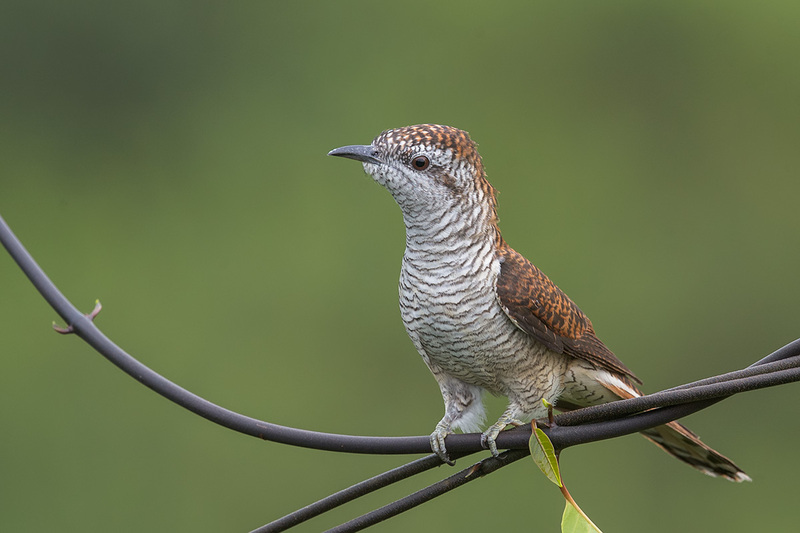 In Singapore, it is considered a rare resident bird species, with sightings mainly on the various small offshore islands, although occasionally they turn up in Sungei Buloh. One of the most reliable place to see this species is at Chek Jawa Wetland in Pulau Ubin during low tide. There seem to be 2-3 of these around regularly, out about hunting on the shallow waters of the seagrass lagoon. There they wait patiently for fishes that pass by. As the name suggest, they have large, long and sharp bills, which they use effectively to spear their victims. On the morning of 29 January 2012, I went out to Check Jawa to observe the birds that linger around during low tide. One of my target bird species was the Great-billed Heron and as expected, a pair turned up waiting patiently for their prey, although at quite a distance away. I took a few pictures and decided to search for the Grey Plovers that were also present. Unfortunately the Grey Plovers did show up but soon flew away. Turning my attention back at the pair of herons, I noticed one of them had managed to catch a big fish. It turns out that it had speared a big Barramundi (Lates calcarifer) using its bill and it was hanging loosely, still alive and wiggling. The Barramundi also known as Asian seabass, is a big fish (average length of 0.6-1.2 metres). It is highly prized by anglers and is an important commercial food fish. In Singapore, the Hokkiens call this fish ‘kim bak lor‘ (金目鲈), and the Malays refer to it as ikan siakap. Once caught, the heron repeatedly placed the fish down to the water as if to wash it of any contaminant, and held it up in the air. Land-based birds normally take their prey and whack them against a hard surface to knock them out, before swallowing. The heron in contrast, cannot employ the same tactic, as the surface tension of the water is too weak to knock out the fish. Instead, I speculate that by placing it on the shallow water, it gives the heron the opportunity to re-spear the fish, causing more injury, and holding it up in the air again to deprive the fish of water it needs to breathe on. Whatever it was, the tactic seems successful, and the heron managed to kill the fish and then proceeded to swallow it. This entry was posted in Birds, Fish, Wildlife and tagged Barramundi, Chek Jawa, Feeding, Great-billed Heron on July 23, 2014 by Francis Yap. The Grey Wagtail (Motacilla cinerea) is a widely distributed wagtail species that spends the summer months in the Paleartic region. In winter, they migrate to Asia and Africa. 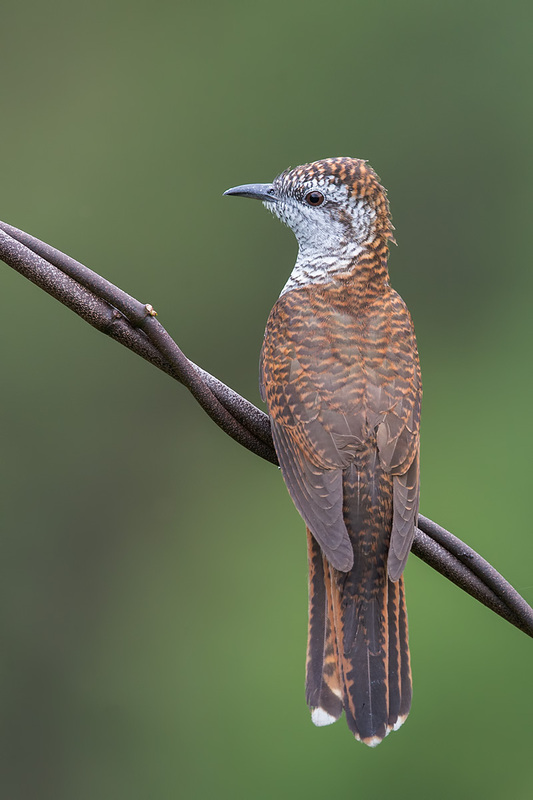 One of the destination in Asia is Singapore, where the species is listed as an uncommon winter visitor. It is one of the earliest migrant, with reports of the birds appearance as early as mid-July. In the field, they are quite likely to be confused with the commoner Eastern Yellow Wagtails. Yet, they differ from that species both morphologically as well as behaviourally. Unlike the Yellow Wagtails, the Grey Wagtails have grey upperparts. The underparts is white in non breeding plumage but turns yellow in breeding plumage. The male has a diagnostic black throat and breast. The vent is yellow throughout. Behaviourally, this wagtail prefers to hang around streams and drains, with fast moving shallow water, in contrast to the Yellow Wagtails that are more land based. So in order to see them, one has to check streams, ponds, drains and canals. Since they tend to come back to the same place year after year, they can be quite easy to track down if one knows about previous season sightings. There is one canal at Bukit Batok West that almost always have 1-2 Grey Wagtails at the right time of the year. Other recent sightings include the small pond in Jurong Lake Garden and the canal just outside of Buona Vista MRT station. This entry was posted in Birds, Wildlife and tagged Feeding, Grey Wagtail, Rifle Range Link on July 21, 2014 by Francis Yap. The Blue-crowned Hanging Parrot (Loriculus galgulus) is a small parrot found in South-east Asia from southern Thailand to Peninsular Malaysia and Borneo. It Singapore they are more commonly found in the forest reserves, Singapore Botanical Gardens, and gardens where fruiting trees are present. There have been reports of sightings in the city centre but one is not likely to find them all that often there. In my early days of birding, this was one of the harder to find species, and it took me quite some time before finally photographing a few of them at Malcolm Park. They were fond of the oil palm fruits and the African Tulip flowers that were abundant there. The problem with finding the birds are two-fold. They are small in size (13cm in length) and they are green, which meant that they are well camouflaged. There are of course easy ways to find them if you know their behaviour. They are fond of ripe fruits. A fruiting rambutan tree, or oil palm or a myriad others ripe fruits in the garden tend to attract them. So houses with ripening fruit trees near the forest reserves are likely to have them around. The other give-away of their presence is the sound they make while flying. A very shrill and high pitch “tsi” that once you recognise, will indicate their presence nearby. A very good place to see them flying about is Jelutong Tower at the Central Catchment Nature Reserves. Every morning, there will be little torpedo-like little green birds flying straight and rather low, with their calls emanating loudly. If you are lucky, they will perch on a nearby tree, giving you better views. Below are some pictures in the gallery with more information on separating the sexes and also a video of a juvenile feeding on a bunch of African Tulip flowers. This entry was posted in Birds, Wildlife and tagged Blue-crowned Hanging Parrot, Feeding, jelutong tower, Malcolm Park, video on July 10, 2014 by Francis Yap. The Japanese Sparrowhawk (Accipiter gularis) is a bird of prey that migrates from Northern Asia to South-east Asia during the winter months. They are birds of open or wooded area. Normally one can more easily see them near grasslands in Singapore, preying on small birds like munias by swooping them up in flight with their superior flying ability. One a fine morning in late October 2013, I was at Jelutong Tower to find some raptors in the forest as it was peak raptor migration period in Singapore. In the forest, it is harder to see them perched amidst all the trees and lower light level. The plan was to see them take to the sky once the warmth of the rising sun causes hot air to rise from the ground. Then the overnight roosting raptors, that are normally passaging through Singapore will start on their journey south to their wintering ground using the rising air as additional lift. That morning I had the good fortune to find a Short-toed Snake Eagle (Circaetus gallicus) and a male Japanese Sparrowhawk, the former being much rarer in Singapore and only the second photographic record locally. But I digress. Fully satisfied with my find for the day, I made my way out of the forest via Rifle Range Link. Nearing a flat portion of the trail, there was a quick flash of a bird flying across. I hurriedly scanned the trees where it presumably landed. With a bit of effort, a raptor was sighted up on a tree trunk. Fortunately, there was a concrete structure around 1.2 meters tall that I climbed on to get a better view of the bird. It was immediately apparent that I was looking at a Japanese Sparrowhawk and it was staring back at me. This entry was posted in Birds, Reptiles, Wildlife and tagged Feeding, Japanese Sparrowhawk, jelutong tower, Rifle Range Link on June 24, 2014 by Francis Yap.